Course Website: Official Website - Visit Arrowhead Country Club's official website by clicking on the link provided. Accolades: Ranked 12th in South Carolina on Golf Course Gurus' Best in State list. Signature Hole: 3rd (Waterway) Hole – 175 Yard Par 3 – With as much water as there is at Arrowhead Country Club, it seems only appropriate for you to face a virtual island green somewhere along the way in your round and this is it. In addition to the water, four bunkers surround green and dictate where to safely miss if the pin is not in a location worth attacking. The opening in the front right of the green provides a great target to aim at since the most forgiveness resides there, whereas the patch of grass to the left of the green offers a false sense of security since most balls heading that direction will skip into the water hazard. This is a beautiful hole and offers perhaps the most exhilarating approach shot of the day. 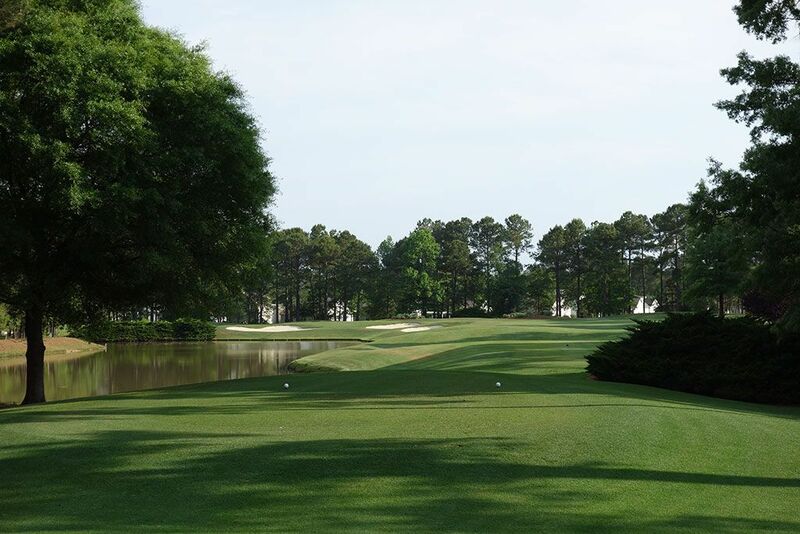 Best Par 3: 5th (Lakes) Hole – 138 Yards – Not only is this an attractive hole, it is a great scoring opportunity. Measuring a mere 138 yards from the tips, this short par three bags you to take dead aim at the pin. The three bunkers behind the green will not come in the play unless you blade your approach shot or when a gust of wind unexpectedly carries you deep. With water flanking the right side of the putting surface, players should take more caution when going after a pin placement on that side of the green. Best Par 4: 5th (Waterway) Hole – 407 Yards – The 5th hole plays along the Intracoastal Waterway adding beauty and challenge to the entire length of the left side of the hole. While seeing the bunkers surrounding the green seems like an obvious hazard to avoid, you may not see the pond resting to the right of the green that the terrain flows to. The ideal approach shot into this green is a high cut that utilizes the width of the putting surface that angles away from you. Not only is this one of the more memorable holes on the course, it stands as one of its most challenging. Best Par 5: 9th (Lakes) Hole – 521 Yards – The closing hole on the Lakes nine is yet another risk/reward opportunity at Arrowhead and a great finishing hole for a match. Players are again faced with a hole that doglegs left around a water on the left and the decision must be made on how much to challenge the hazard. 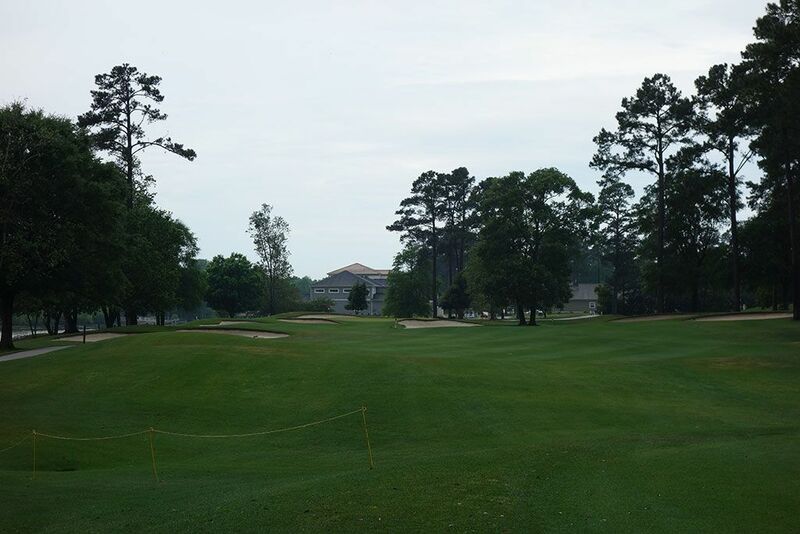 Players safely landing their tee shot at, or beyond, the corner of the dogleg will have a great opportunity to reach the green on their second shot. Players electing to dial back their tee shot will want to lay up short of the bunkering that protects the front portion of the green and end of the fairway. With a green that starts to peninsula into the water, players will want to be selective on how aggressive they are when attacking the pin placement on the left side of the green. 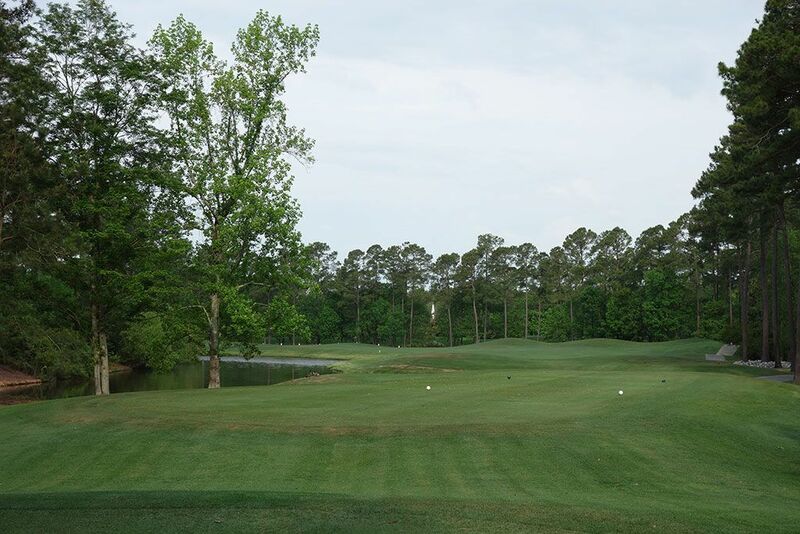 Birdie Time: 2nd (Waterway) Hole – 357 Yard Par 4 – The way you would play this hole in a scramble versus plane your own ball is likely different. 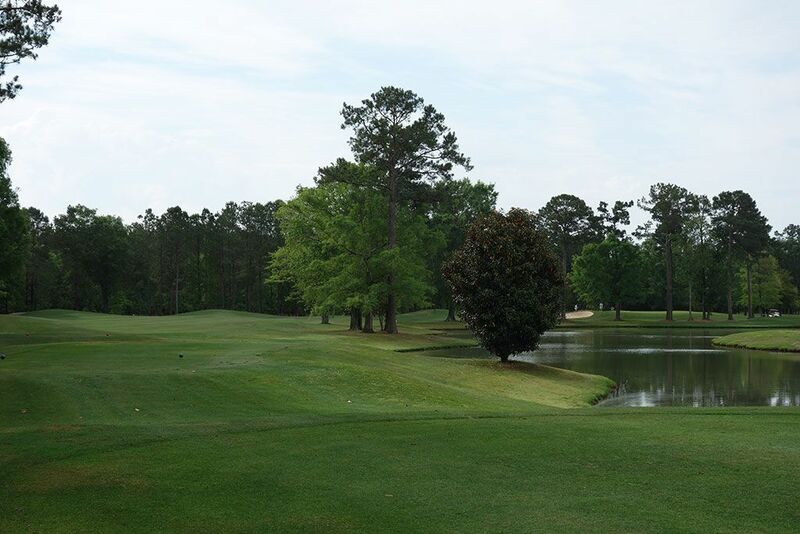 This short dogleg right wraps around a pond yet only requires a carry of 250 yards to clear the hazard and land safely in the fairway in front of the green. While playing a scramble it is a no-brainer to take a rip at the green while aiming for the opening in the trees near that line, but playing your own ball may convince you to take a long iron toward the bend in the dogleg setting up a 100 yard shot into the putting surface. The risk/reward of this whole makes it a strategic par four to contend with. Bogey Beware: 7th (Lakes) Hole – 411 Yard Par 4 – One thing you will have to get used to fast at Arrowhead is the number of holes that dog leg around water. On the par four 7th hole, you are faced with yet another one of these holes and must make the decision whether to challenge the dogleg with your driver or whether to dial it back with a shorter club off the tea. Players that hit driver may go through the fairway as well as bring into play additional bunkering to contend with. 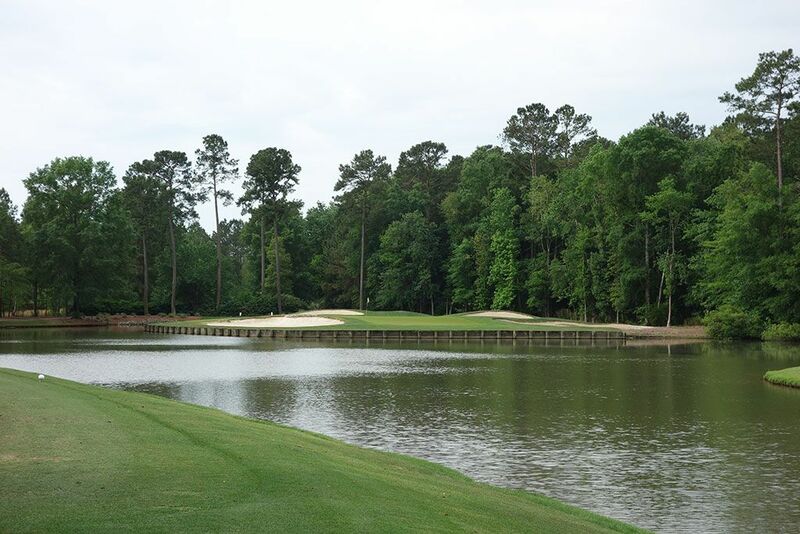 On the flipside, players that trade length for safety will be faced with a lengthy approach shot over water to a green flanked by a pond on the left. 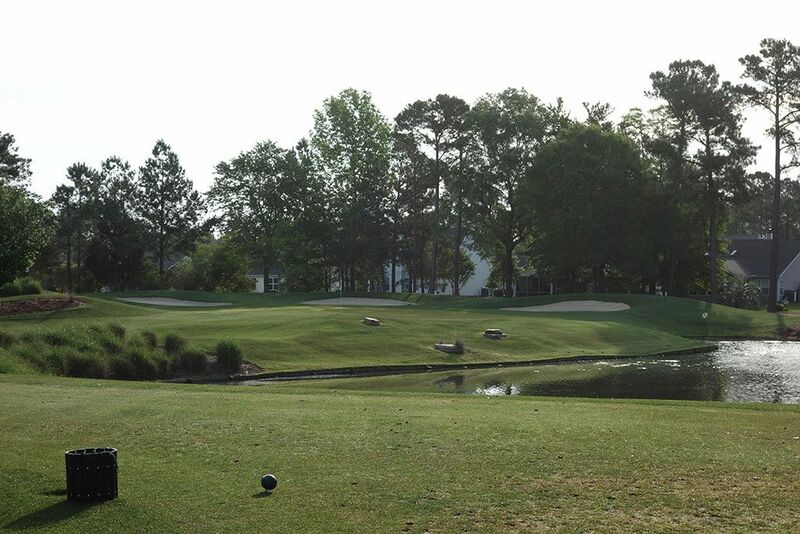 It is truly one of the most demanding tee shots on the course and remains difficult all the way into the green.